His Grace Metropolitan Amvrosios was born in 1938. He served as dean of the religious office of the Police and as Chief Secretary of the Holy Synod. He was elected and ordained as assistant bishop in 1976. In 1978 he elected as Metropolitan of Kalavryta and Egialia. 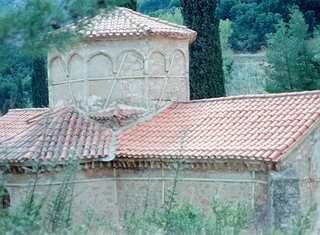 Ecclesiastical Library, School of Byzantine Music, Parishes Centers for the youth, Radio Station, Museum of Ecclesiastical Art in Egio, Stavridion Institution "Saint Kiprianos" for those suffering chronic ailments, Home for the aged in Kalavryta, Camping. · Apostoles, Annunciation in Dafni, Saint George in Manesi.